Thanks Southern High and Shadyside Elementary Schools! 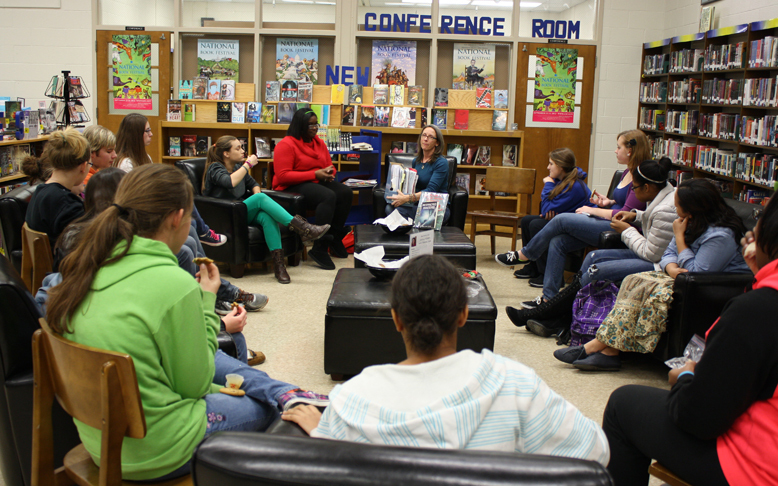 This is the second year I’ve gone to Southern High School Book Club, and it’s one of my favorite school stops. We had three lunch periods, three great groups! Thanks to Media Specialist Beth Starnes for setting it up. Shady Side Elementary 4th graders, You Rock! Thanks for being such a great audience, and thanks for Miss Maloney and the 4th grade team. And Mrs. Elmore’s Marine Biology Class knows their stuff!